Writing Our Story: An Under the Sea Mermaid Party! 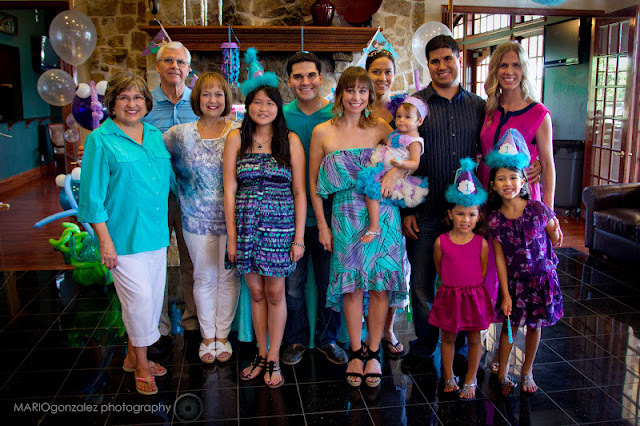 This past weekend we celebrated Josselyn's 1st birthday with an Under the Sea Mermaid Party! 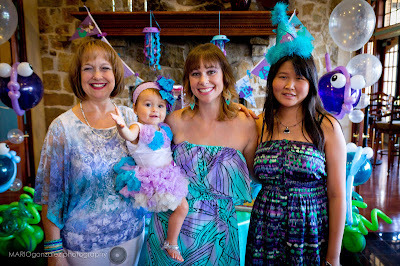 My mom & Sister helped me plan the party! I was inspired by many blog's to make a "Mermaids this way" sign. I found a rustic frame from (Hobby Lobby) and then I used scrap book paper for the back ground. With my mom's new Cricut machine we cut out the mermaid & letters. The sign turned out so cute. When you walked into the clubhouse there was a sign-in table. It has become a tradition to have all of the guests sign a Fancy Nancy book (we did that for Josse's baby shower) so all of the guests wrote Josselyn a little birthday note in the Fancy Nancy The Mermaid Ballet book. 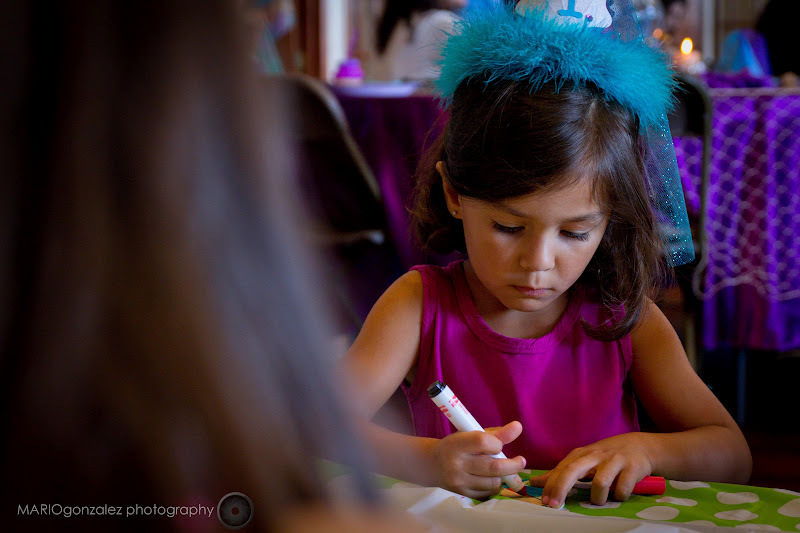 On the sign-in table we also had little birthday hats that I hand made for all the kidos. I spent way to long making these hats and ponly half of them got worn! haha Oh well at least they were cute! The decorations were probably the best part of the whole party. I will start with the table center pieces. 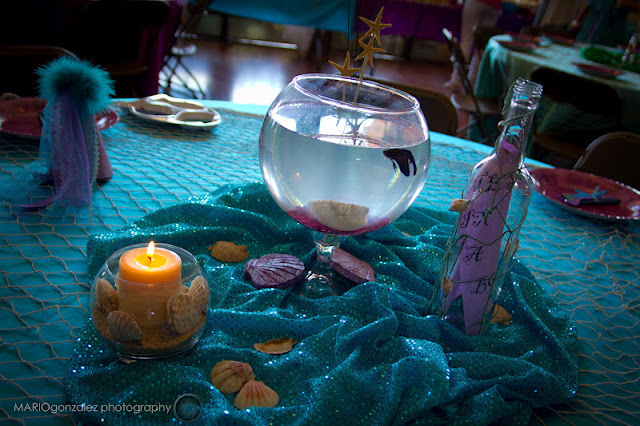 After researching mermaid parties I just knew I had to some how incorporate live Beta fish. My mom thought I was crazy at first but she quickly warmed up to the idea & within a week she had already purchased 4 purple & blue beta fish haha (this was 3 months before Josse's party!). I bought 4 big fish looking bowls from Michael's (with my 40% off coupons of course) and then we glued (gooped) the fish bowls to these little Dollar Store candle sticks. 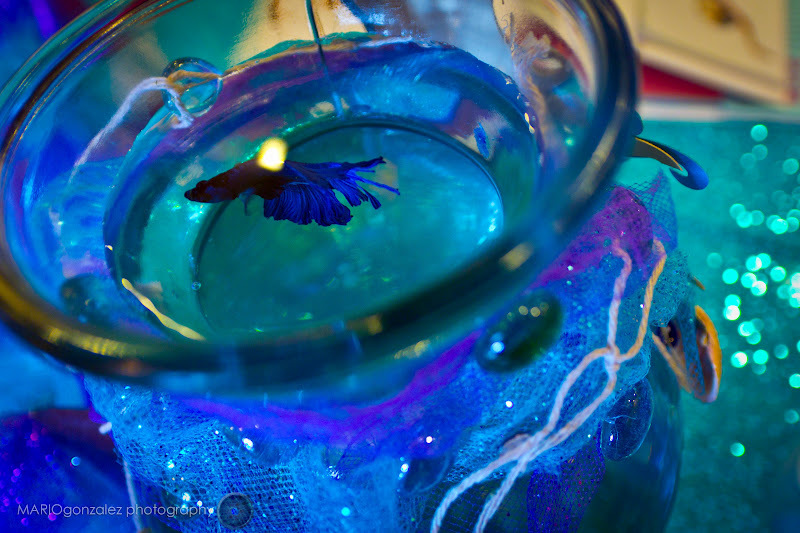 It turned out cute and it made the fish bowls look a little more elegant. I also loved the idea of using fishnets on the tables so I bought 4 from Hobby Lobby & then I found a couple smaller cheap ones from the Dollar Store. 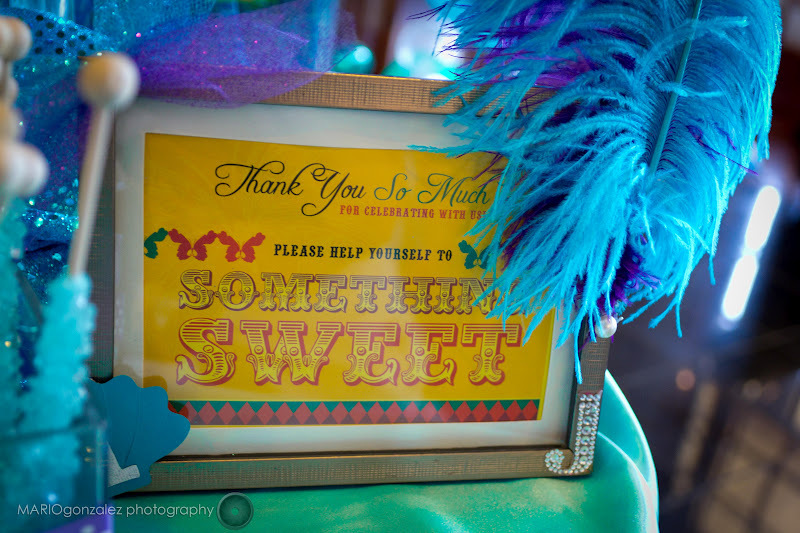 I wanted to glam up the tables a bit so I used 2 yards of sequin material on each table as a topper. While we were searching for tablecloths to rent my mom came across a great website www.tableclothfactory.com and they had a great deal on colored satin tablecloths so we just ordered purple, aqua & sea green. I felt like the fish bowls were not quite enough on each table so I started thinking of other little things to add to it. I saw online a cute idea of having a spray of starfish come out of vases so we found mini vases from the Dollar Store and we glued little star fish onto floral sticks. My mom then found little glass bowls, candles & shells from the Dollar Store so we just added in sand and made cute beach looking candles for all the tables. 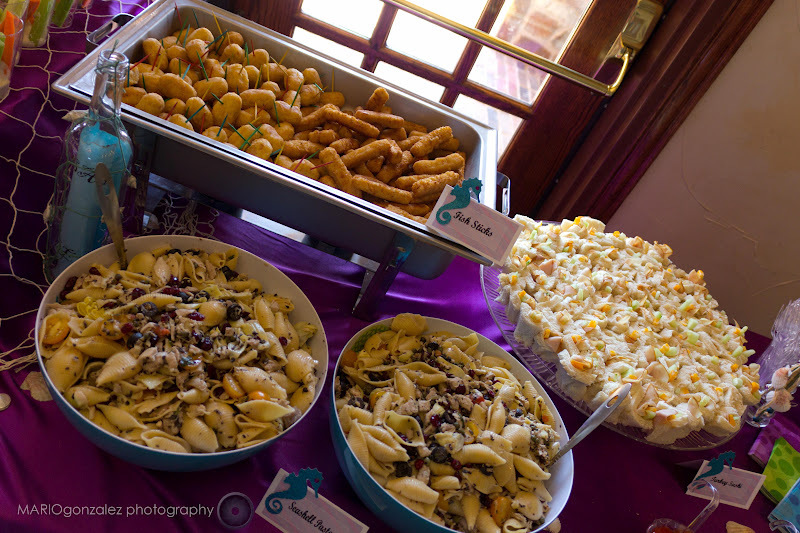 I used the extra shells we purchased to scatter around all 4 of the tables as well as the food tables. 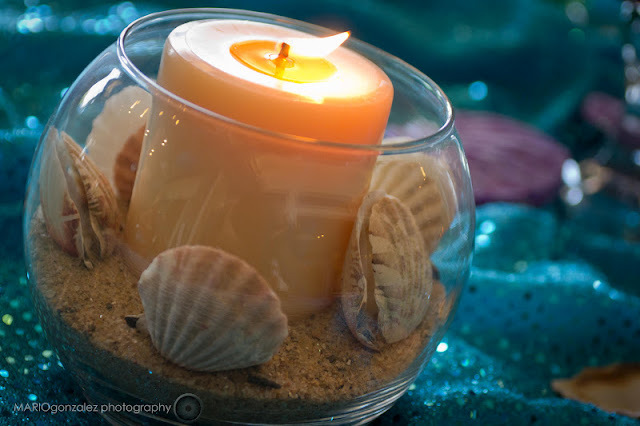 Lastly I wanted to make each table a little unique so I gathered a few random beach/sea like items to sit on each table. One table had a glass blue fish, one had a pelican, one had a purple lantern & one had a message in a bottle that my creative mother made. All 4 of the tables turned out absolutely beautiful. The decoration did not end with the table centerpieces. You see, I had a huge, vaulted ceiling, ballroom that I had to decorate! 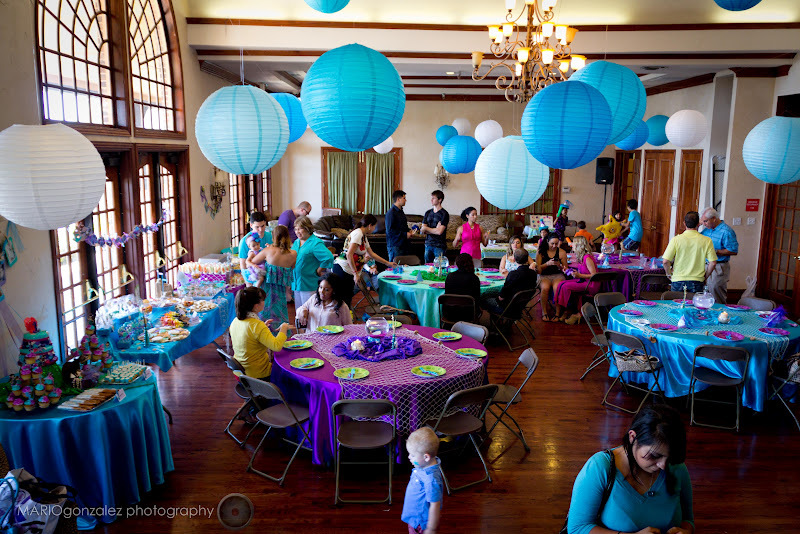 I decided that the best way to decorate the ball room was to hang huge paper lanterns everywhere. I went to all the stores in my area to find aqua & white lanterns but no one had lanterns big enough. I eventually stumbled across an amazing website www.justartifacts.com and they had great priced paper lanterns, so my crazy self ordered 40! Make sure if you order 40 paper lanterns then you have a game plan on how to hang them. We frantically had to hang them the morning of the party because the guy we hired flaked! Luckily my hubby, his brother, dad & friend got them all hung in plenty of time...Phew! Thank the Lord for fishing wire, magnets & tape. I wanted to add some balloons to Josselyn's party as well, but I was not quite sure how since I was already hanging a ton lanterns from the ceiling. Luckily, I ended up finding a really neat lady in the Dallas area who does balloon arrangements for parties. She sent me some sample arrangements and I just fell in love with her balloon designs. 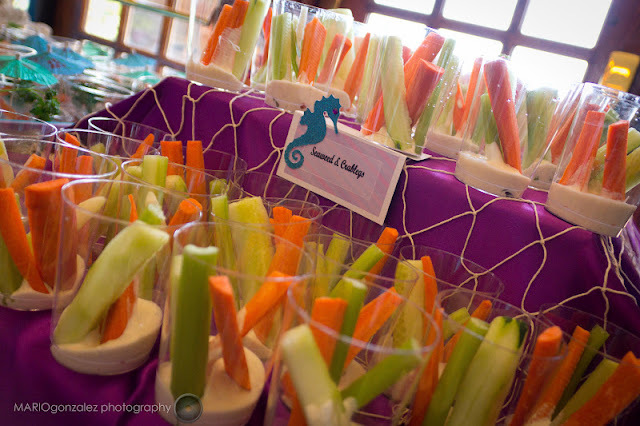 I decided to order two 6 foot fish arrangements to go on each side of the candy bar. 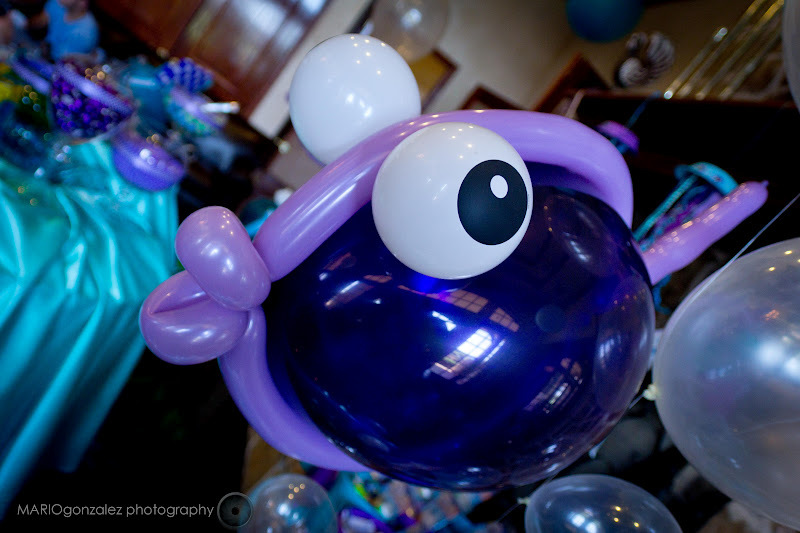 Looking at all the pictures I am so glad that I did order the fishy balloons because they were such a perfect touch to this Under the Sea Party! 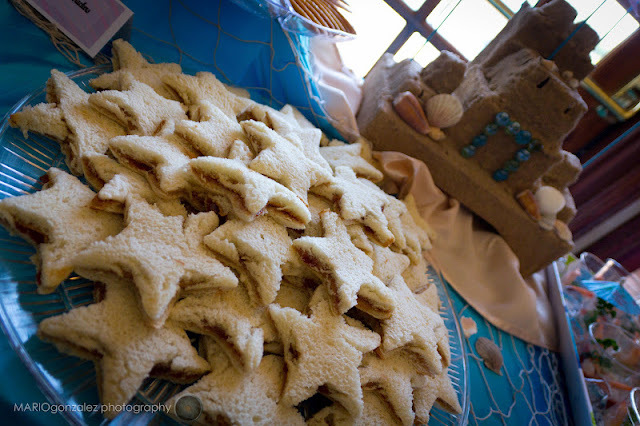 One of my all time favorite decorations of the whole party was the sandcastle. 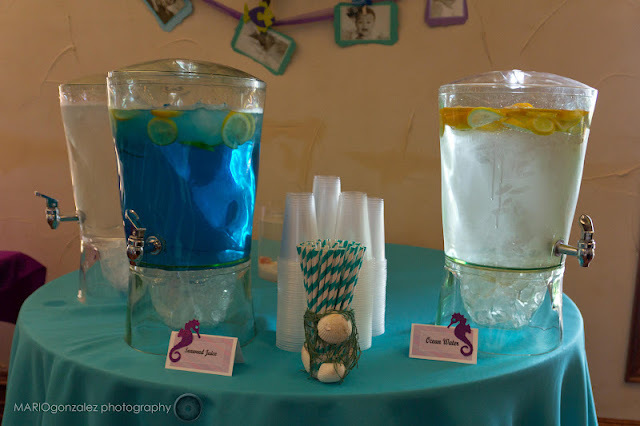 Like I mentioned in my Planning an "Under the Sea Mermaid Party" Blog I fell in love with the cardboard sandcastles when I was searching other under the sea parties online. Once again, I am so blessed to have such a crafty and talented mom who helped me turn my sand castle vision into reality. All it takes to make your very own sandcastle is: empty boxes, berry baskets, egg cartons, masking tape, Mod Podge & sand! My mom & I assembled our boxes, mom had the messy job of putting the glue & sand on the boxes & then I had the easy job of embellishing the sand castle with flags, marbles & shells lol I personally think our sand castle turned out even cuter then the ones in the pictures I posted on my last Blog. Yipee for our successful sandcastle building! I mentioned before that my mom decided to invest in a Cricut machine so that we could make the paper mermaid cut-out's we kept seeing for sale on online. 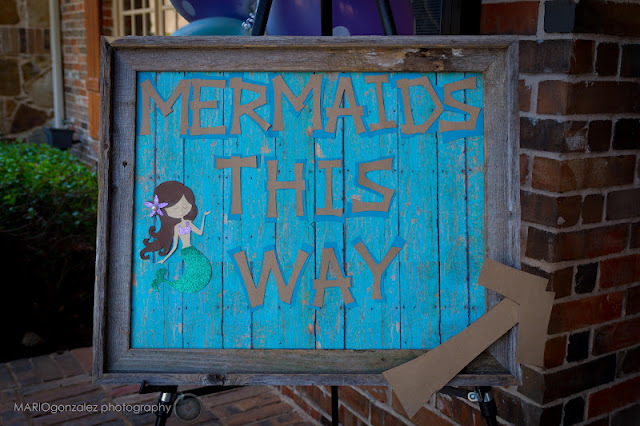 Well, since my mom bought the Cricut machine we figured that we better get our moneys worth, so we made tons and tons of mermaids, sea horses, sand castles & sea shells to hang up everywhere. 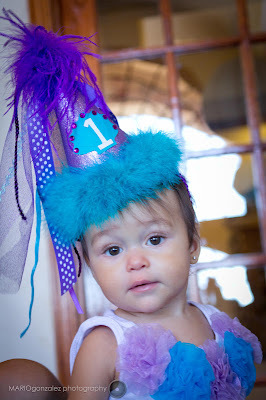 One of my favorite things that the Cricut machine make's is birthday signs & banners. 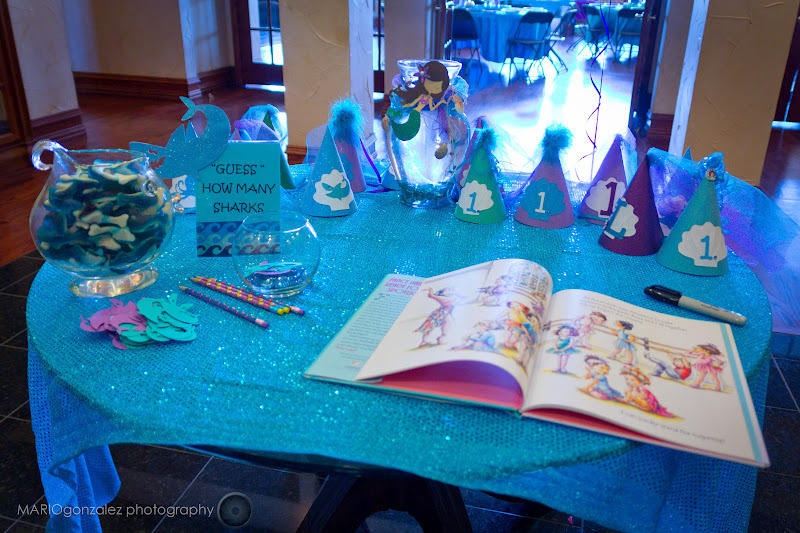 We went banner crazy and made an "under the sea" banner to hang up in the entrance of the ball room, we made a "sea treat" banner to go over the candy buffet and we made a "happy 1st birthday" banner to go over the food table. It was such a great touch to have these adorable paper banners hanging everywhere! One more decoration that I can not forget to mention is the adorable hanging jellyfish That were hanging by the candy buffet! 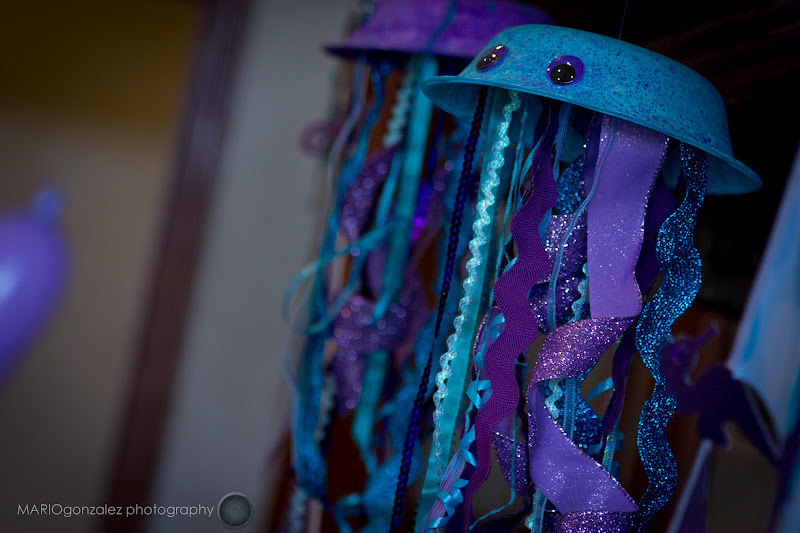 I found these DIY jellyfish on some birthday blog post I was reading, so I sent the link to my very creative mom & sister. My extremely talented and artistic sister took a look at the picture and in a matter of minutes made 2 of the coolest jellyfish I have ever seen! All she used was: paper plates, paint & a variety of ribbon. 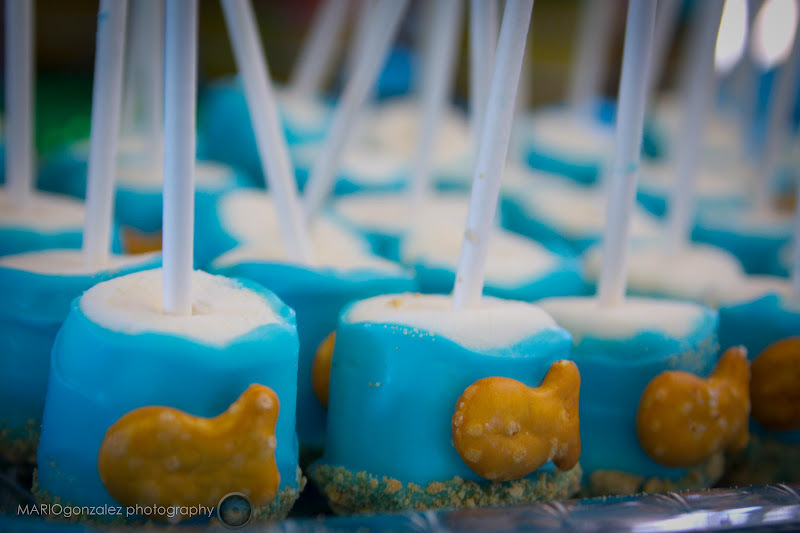 They are so easy to make and super cute for any under the sea party or beach party. 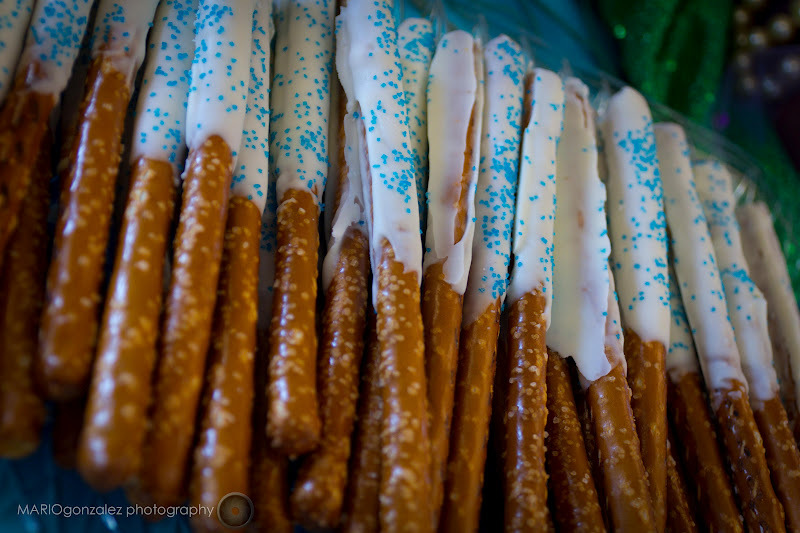 My second favorite part of the party besides the decorations was the candy buffet. 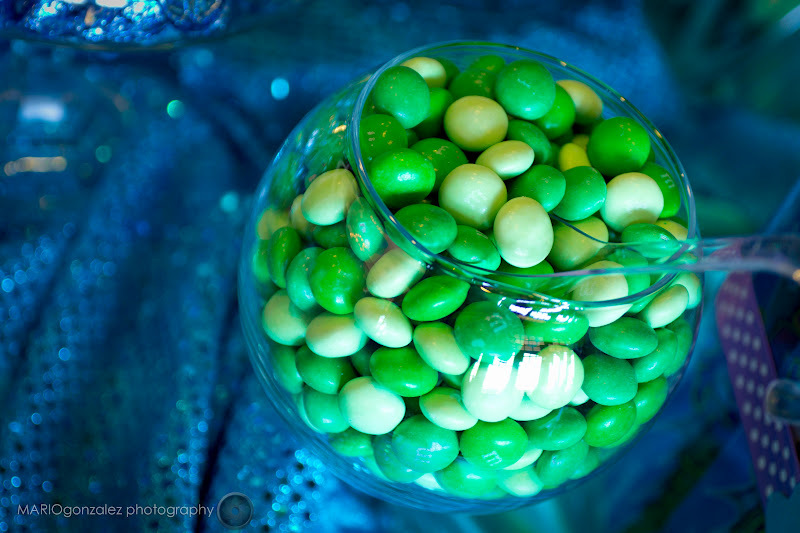 I just love a good candy buffet and I had never done one. My baby shower how a FABULOUS candy buffet (if you did not see it check it out on my Blog Cirque Du Bebe!) 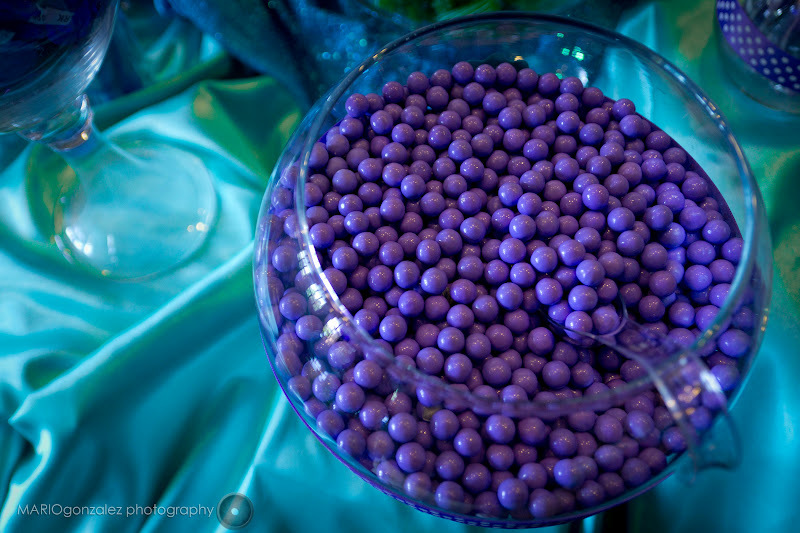 anyways I wanted to this candy buffet to be just as good so I began my search for shades of blues, purple & green candy. I luckily hit the jack pot at Party City! I found lavender sixlets, gumballs, suckers, rocky candy, candy sticks, etc all in the perfect colors. Looking back at the pictures of the candy buffet I now realize that I may have gone a tad bit overboard with it lol I could have probably done half of the candy that I did (even with 80 guests I still had at least 1/2 of the candy left!!!) 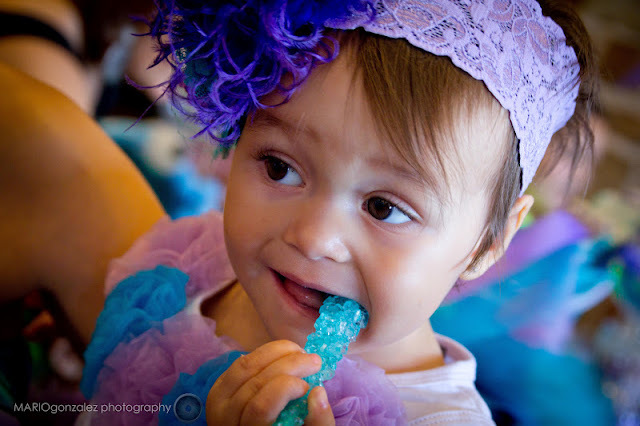 but oh well it was a fabulous candy bar! If you are planning a candy buffet for you party here are a few tips on how to give it that "WOW FACTOR" look. First of all try and find glass containers in a variety of sizes. Next, be sure to create levels (you can put the containers on boxes, etc to help create the levels). Lastly, in order to give the buffet a uniform look try adding ribbon or labels to each container so there is something similar about all of the containers. 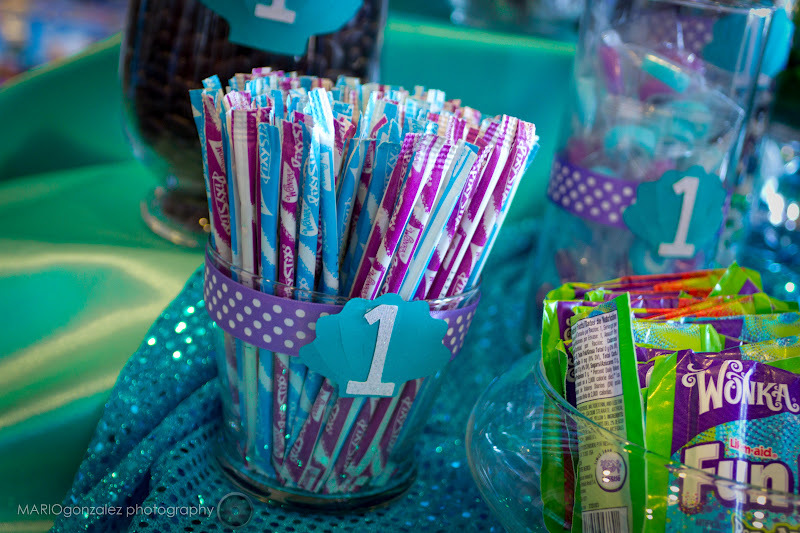 Those 3 tips helped make our candy buffet look gorgeous! One more thing, you can not have a candy buffet and not provide bags for the guests to fill up. I found cute polk-a-dot bags from Etsy (http://www.etsy.com/listing/85036989/24-favor-bags-aqua-dots-treat-bags-candy) and then of course I had to turn something simple like ordering candy bags into a full blown project, so I made purple & aqua shells to glue onto the bags (with the Cricut of course) and then I made white number one's to glue on top of the shell. That in itself took another day but the bags sure turned put cute! 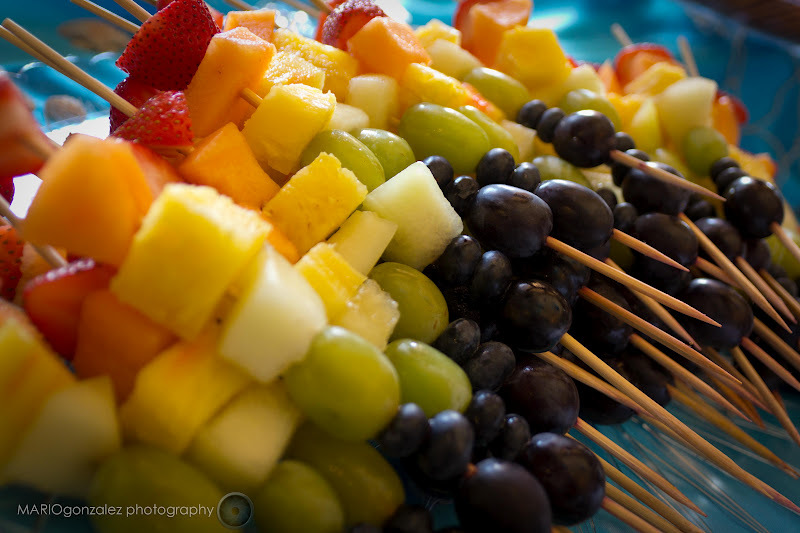 If you have ever been to one of my parties then you know that I always go way over board with the food. 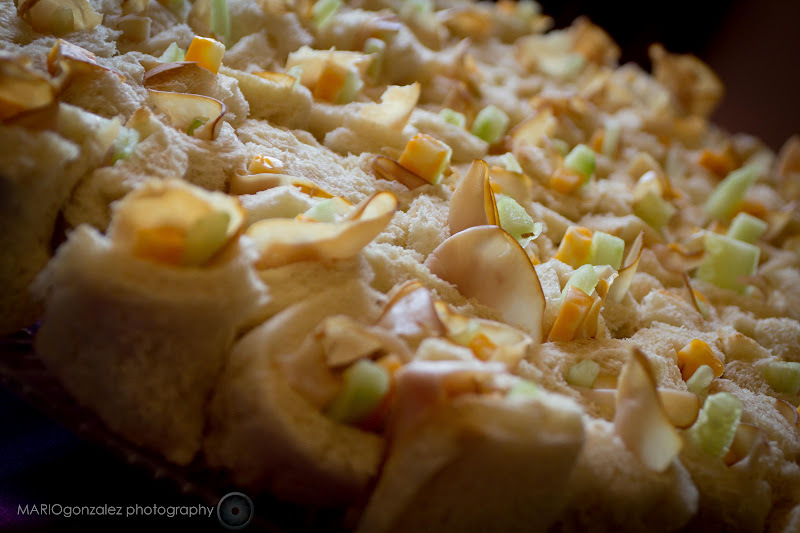 This party was no exception, we probably had enough food for double the guests that we had. My mistake was that I did not take into account that a 3 year old child does not eat as much as a 30 year old adult Ooooppps.... Well the food was still spectacular non the less. 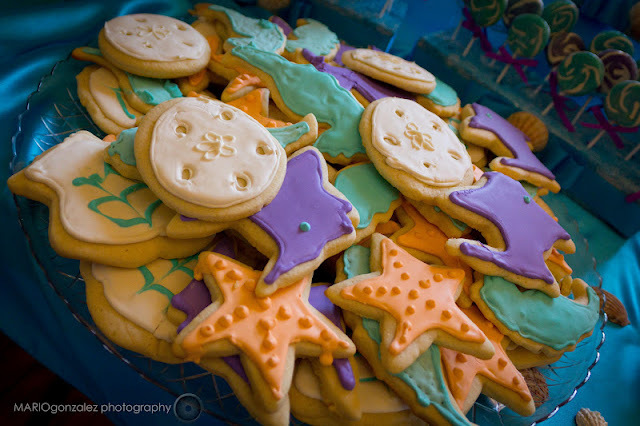 One of my dear freinds helped me come out with the "under the sea menu" for the party. "Turkey Sushi" (rolled turkey sandwiches with whipped cream cheese, a cheese slice & a cucumber in it"
When you say the word b-i-r-t-h-d-a-y what is one of the first things you think of? That's right...CAKE! 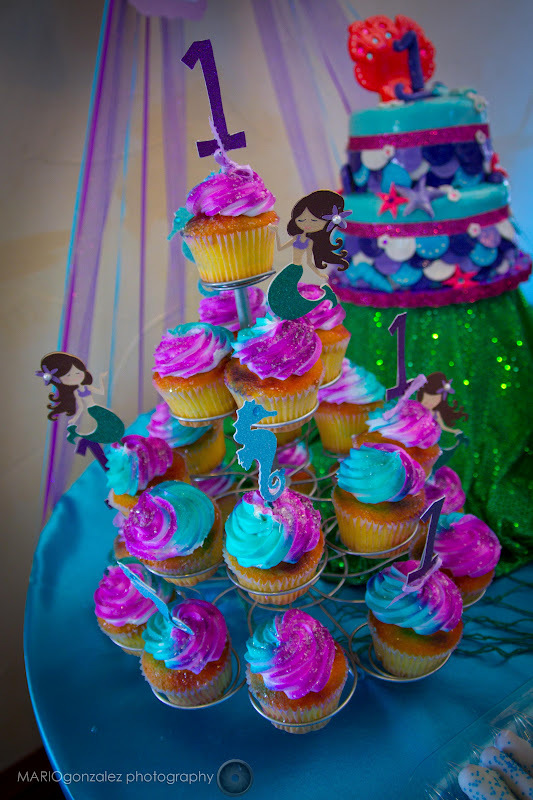 One of my sweet freinds Kylie, makes the most amazing cakes ever. The problem is that she has retired from cake making lol. I kept my fingers crossed and luckily she offered agreed to make the cake for Jossely's party! I can not forget to mention that Josselyn thoroughly enjoyed her very 1st cupcake! 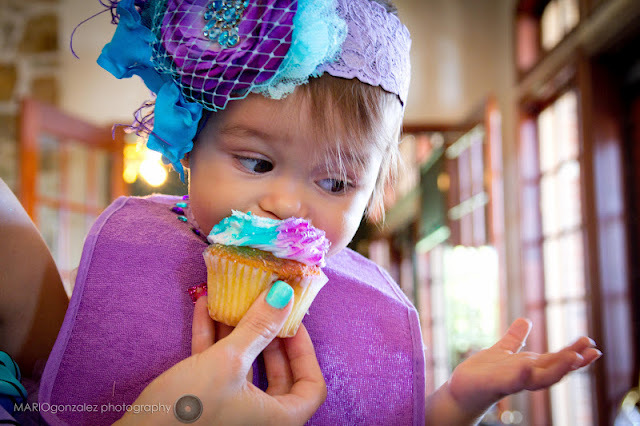 She absolutely loved the frosting! 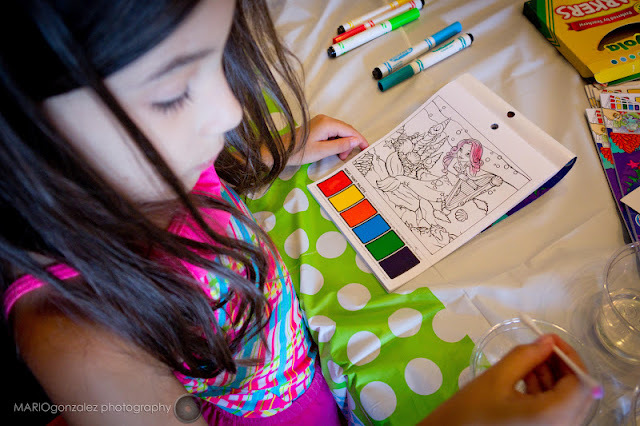 One of most kids favorite things about a birthday party is the goody-bags or party favors. I decided to use aqua & purple sand-pales that I found for only $1 each at Michaels as the good bags! 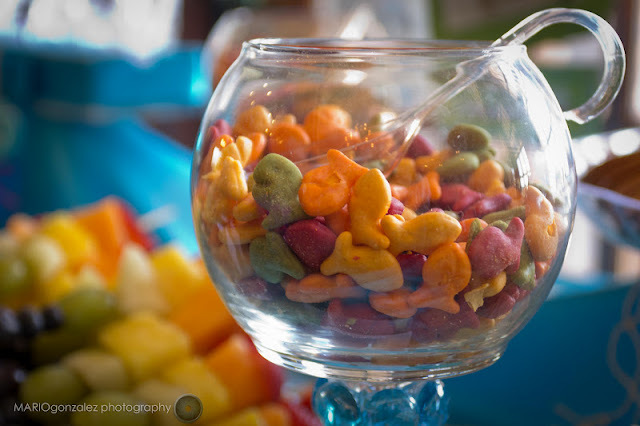 I filled them with fun water toys like: beach balls, wind up fish, squirt guns, bubbles, etc. The sand pales added a fun touch to the party and all of the kids seemed to really enjoy them. 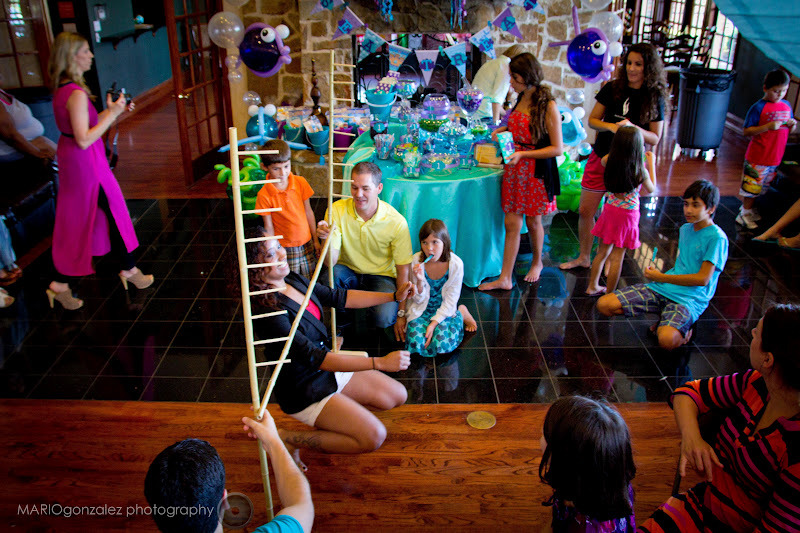 It is not easy to come up with games to do at a 1 year old's birthday party lol. I decided to try and think of some fun, entertaining things for both the adults and children to do. The first game I came up with was "guess the number of sharks". 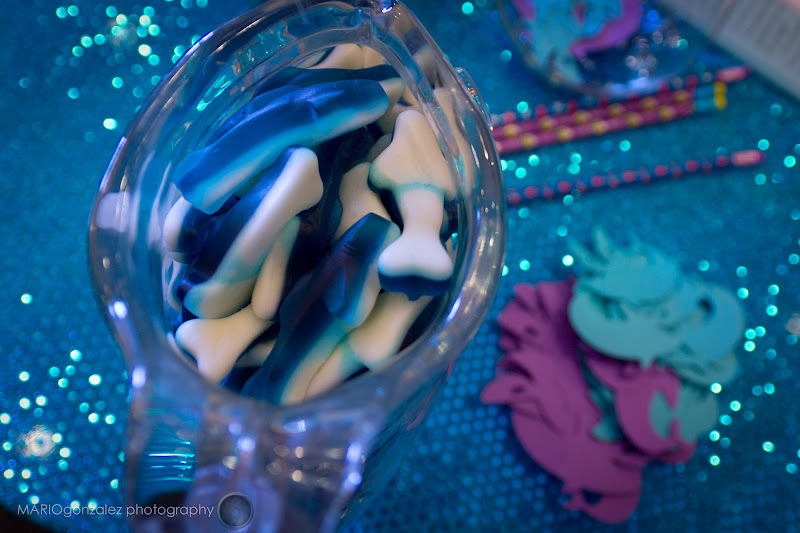 I had everyone guess the number of blue gummy sharks that I had in a glass fish bowl. Both the child and adult who guessed closest to the actual umber got to take home a prize. 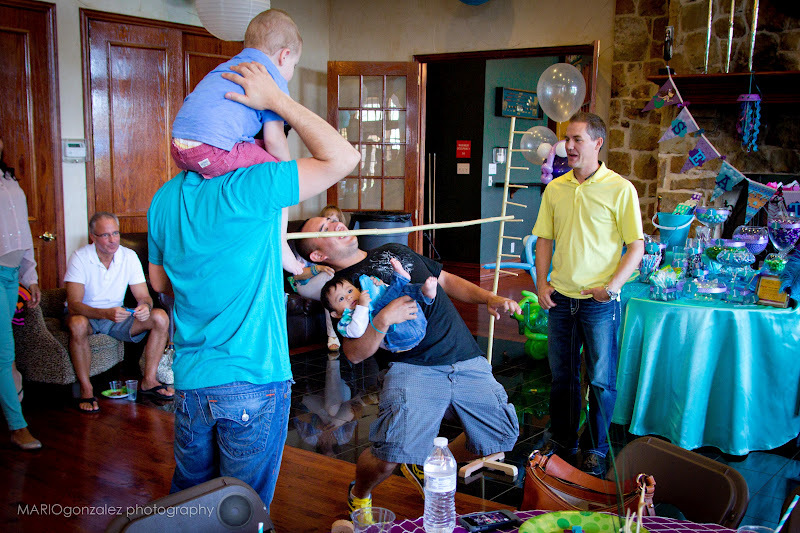 We also decided to have a big game of LIMBO!!! 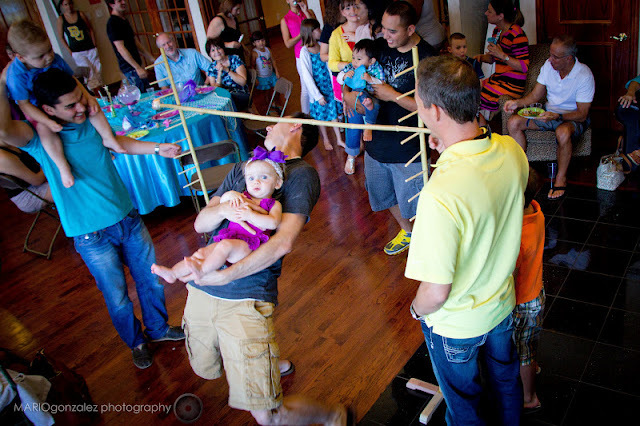 I am so glad that we did limbo because almost everyone (young & old) participated in the game. It was a total blast and my brother in law Joey did a great job as the MC. I wanted a way to keep the kidos entertained, so we set up a craft area for all the kids. 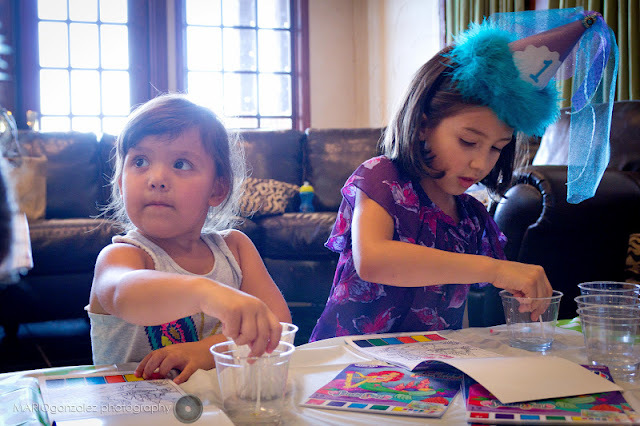 My sister and her friend helped the kids color, make paper plate fish and paint mermaids. This was a great idea because the kids stayed busy the whole time. 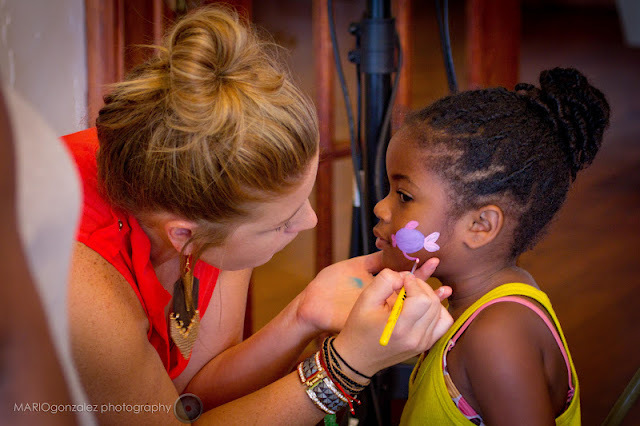 We also had face painting for the kids! My sweet friend Kylie painted all the kids faces with sea shells & fish. The kids absolutely loved it. We ended the party with some fun time out by the pool. It was such a perfect day outside for for swimming and the kids had a wonderful time floating the lazy river & splishing and splashing. 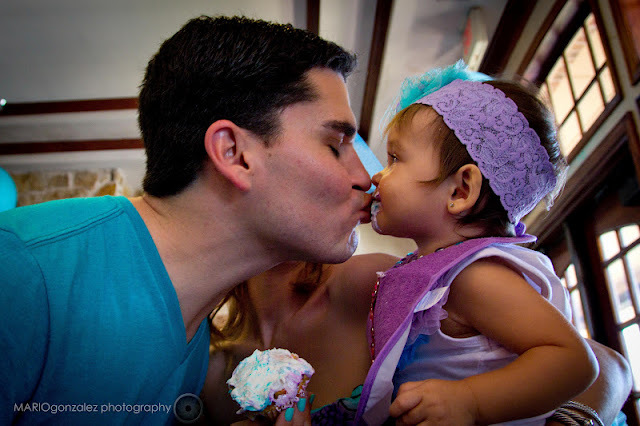 Click here for more pictures from Josselyn's birthday party! 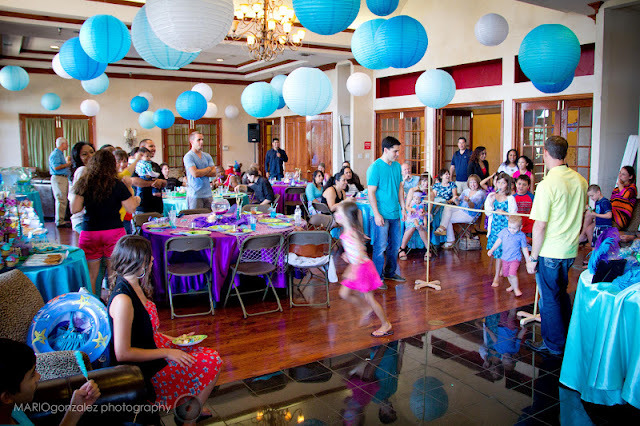 This party looks amazing! 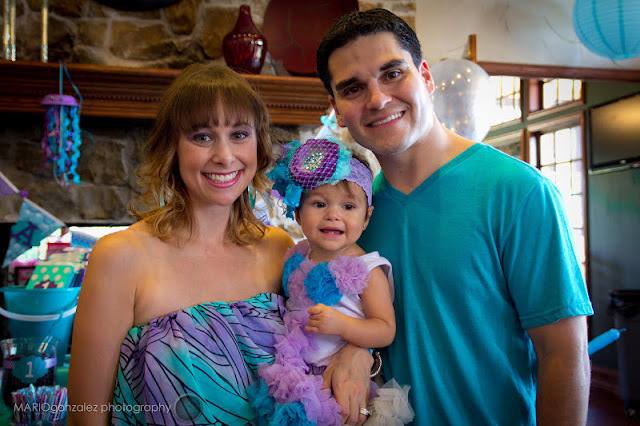 I would take a trip to Texas to be in attendance of one of your parties, they always look amazing! 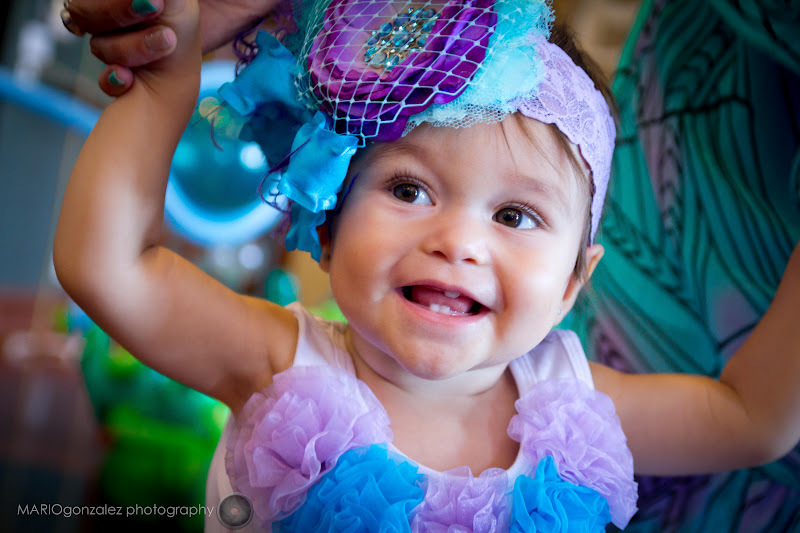 Her 1st Birthday Party looked amazing!! She is one lucky little girl I love the idea of signing the Fancy Nancy Books I was just wondering what book did everyone sign at your shower? Awww...you are sweet Thanks! 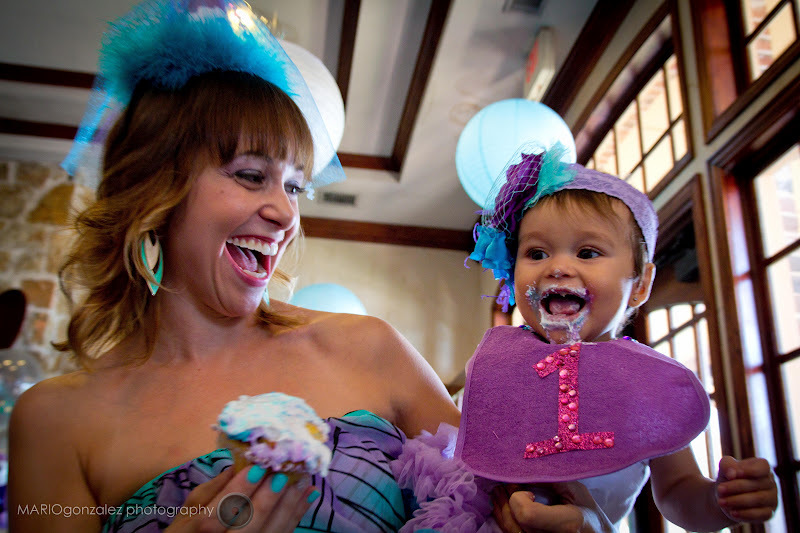 For my baby shower the guests signed the original Fancy Nancy Book (the 1st one written) it kind of went with the theme of my "Cirque Du Bebe" baby shower with all of the feathers, beads, hot pinks etc. This party looks amazing!! 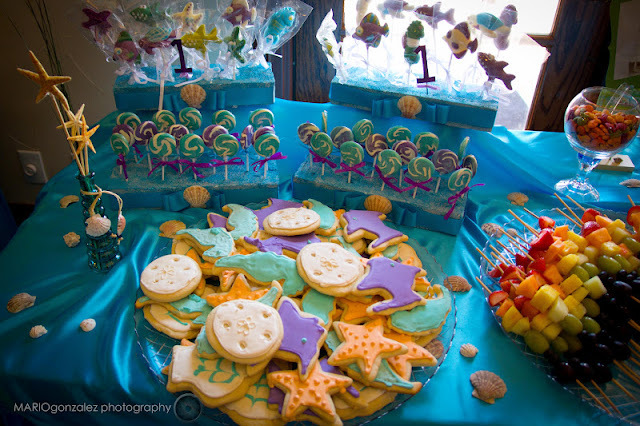 I was browing the web for "under the sea" 1st birthday party ideas and stumbled on this. Everything is perfect!! 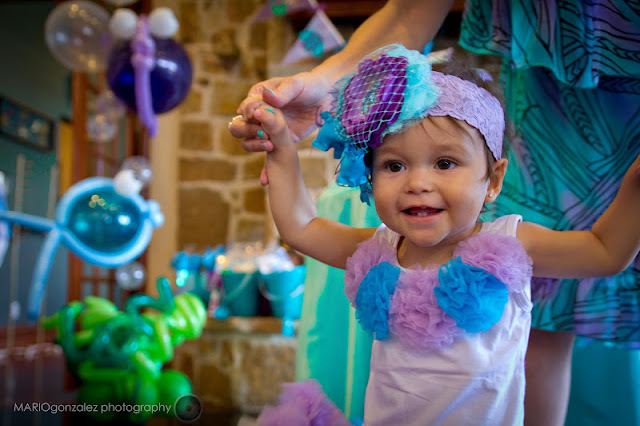 Where did you find her pettiskirt and tank it is adorable!! 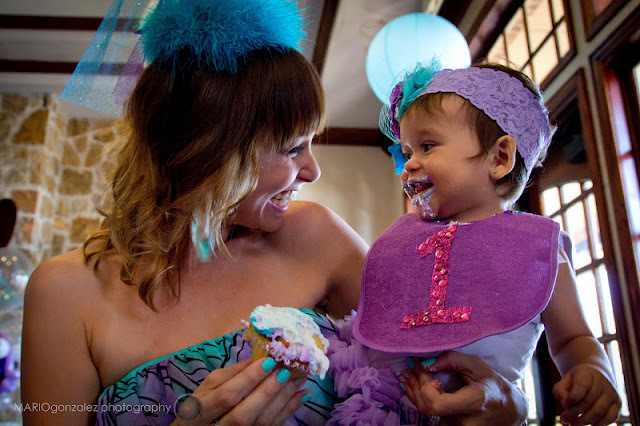 I would love to have that oufit for my daughters birthday!! 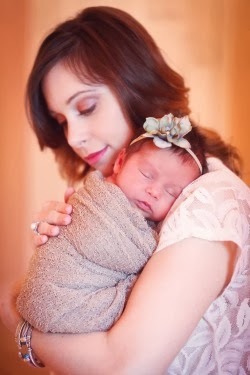 This was a beautiful party you and GLAM-MA did a spectacular job. 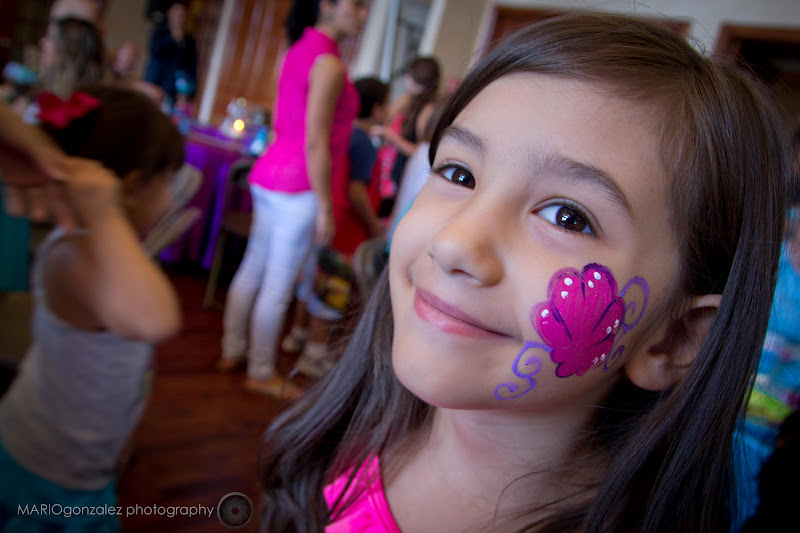 For my daughter's 6th birthday she wants a finding dory theme. 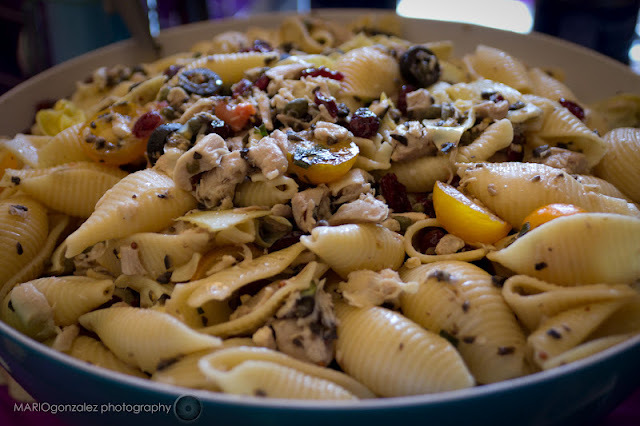 I am using your entire SEAfood menu idea and decor setups (thanks a million)! what is the measurement for the food table covers? I would like to create a few levels as you did.